A new project, and one that brings some of my activities to a close. 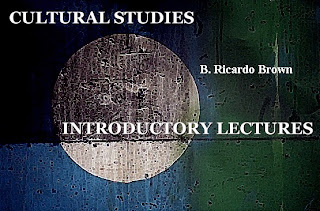 I have decided to write out my Cultural Studies lectures and put them online for my students. These will be written over the next few months and will no doubt be edited from time to time. My students have asked that I make my notes available, but that was always impractical and would no doubt be confusing, but in this form both present and past students (and other interested readers). 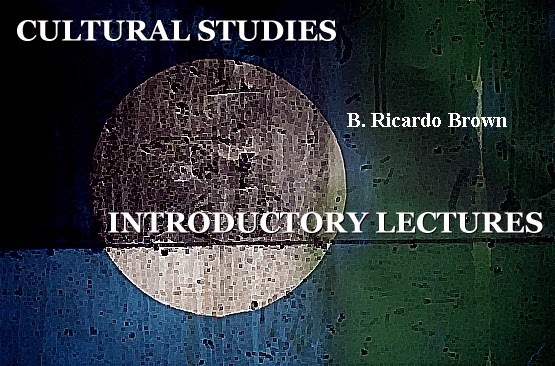 These will not be the actual lectures, which of course changed and developed over the thirteen years I taught the class, but they will give some idea of the course and some reminders for those who sat through my through my class over the years. It is doubtful that I will teach on this subject again, as my interests have as is proper moved on to other subjects, such as the work derived from my research into Until Darwin. Lecture One: On the Question “What is Cultural Studies?” is already up. Below is from the the "About these lectures" page of the blog. "We all fail in our efforts to present the essentials of culture to our students.It remains for their genius to convert our failure into success"
After over a decade of teaching and lecturing on Cultural Studies, the realization that a certain rigidity had enveloped the course became an inescapable conclusion. This rigidity had occurred despite a good deal of effort to the contrary. These lectures were given from notes and in a extemporaneous manner, but even so what might have appeared to others as improvisation became scripted by habit and repetition. For this very reason, the extemporaneous manner of delivery was not a long term solution. As it turned out, nor was the constant revision of the syllabus in response to student interest as well as my own changing interests and interpretations. My writing these lectures shows these efforts to have been, in the end, both a failure and a success. The remains of this work consists of a fairly impressive archive of notes, fragments, and other materials steadily accumulated amid the ruins of these remarks and revisions. Now, one response to this problem of authority would be to revolutionize one’s syllabus and lectures, but a condition of permanent revolution can not, for obvious reasons, be maintained by a finite person and besides, these limited revolutions of necessity begin to take on a certain sameness as the encounters with this personal limit become increasingly frequent. A different response provides the reasons for writing these lectures: one might embrace the view that perhaps one has said enough and that the many classes and talks had congealed into something that made sense even as Cultural Studies itself experienced great changes with its acceptance and institutionalization in American universities and culture industries. These changes were also found in miniature in the institutionalization of Cultural Studies at Pratt and directly affected the course. Without a doubt the orientation of the course changed as well. After some years of teaching about an “emerging field” of Cultural Studies, I thought it better to go back and look at the different disciplines, fields of knowledge, schools, texts, authorities and politics that coalesced into Cultural Studies. Gradually, the course moved toward tracing the genealogy of Cultural Studies along with some limited speculations on its future in the academy. It must be said that this genealogy had to take into account the social changes that made possible the movement of Cultural Studies from being marginalized critiques to being commonplace or even farcical term: witness the New York Times “Style” section column titled “Cultural Studies” or the recent exchange in the Chronicle of Higher Education over the status of Cultural Studies that managed to carry the air of both a graduate school debate and an argument at a funeral. All too often, critique has given way to mere criticism. In terms of everyday life, we are in a historical moment that nicely bookends Cultural Studies between its origins in the social dislocations of the 20th Century and those of the present. If it is true that we have moved from Raymond Williams posing the question of the future of Cultural Studies to Hall’s eulogy on its theoretical legacies, then there is ample justification for writing these reflections in the form of lectures. Because these lectures were presented as extemporaneous class talks, they varied from semester to semester and year to year. Those who attended the course in the early years will not recognize some aspects of these summary lectures, but much will seem familiar or at least make a bit more sense of what you heard. And so the second justification for writing down these lectures is to give students present and past the opportunity to revisit or have clarified points that might have been missed, unclear, or skipped due to the pressures of the classroom. Of course, everyone will notice the absence of any of the autobiographical references that I might have made in class. Students from the class will immediately understand the reason for this absence. For those other I might refer you to the little essay “Against Autobiography” written for the student journal. Besides, there is never a reason to give your detractors words to use against you but at the same time one must have an implicit trust of one’s students and so in print there will be no autobiographical content. I have, however, attempted to retain as much as possible hints of the extemporaneous mode of presentation. The third reason for writing these lectures stems from the essential commitment of Cultural Studies to education as well as critique. It is the habit of professors to guard their lectures rather jealously, but this is antithetical to the history of Cultural Studies. Thus, the public nature of these writings are a nod to the many interventions into education that are found in such different locations as Adorno’s radio talks, Birmingham’s commitment to worker education, the labor movement, and the Center for Cultural Studies. Teaching the Cultural Studies course gave me the opportunity to interact with all of the first year students in the Cultural Studies/Critical &amp; Visual Studies major in conjunction with my duties as Director/Coordinator. With our coming curricular changes, it is now appropriate that the students share a wider common experience. Every semester, I began by asserting that I have a particular view of the genealogy of Cultural Studies and that my view is not shared by everyone, even among my colleagues here at Pratt. I encouraged them to seek out other faculty to get their views on any questions or disagreements. Just as important, to take courses from a range of faculty especially in those areas such as Feminism that I could not adequately cover in the short time allowed us, or ideas such as “postmodernism” which I do not use. The goal of the course was never, however, to present an established set of texts or to invent a new discipline. The goal, simply put, was to present students with sometimes difficult materials that call into question our usual assumptions and call engage them over the course of many years. Epicurus said that as teachers “we should not raise children,” by which he meant we should not prepare our students for their subordination to authority. The final essay requires that you read Hall's essay on Cultural Studies and its Theoretical Legacies. Then you are to choose 2-3 examples of work by professors here at Pratt and analyze them based upon Hall's critique of American cultural studies. Does the work of the faculty support Hall's contentions? Essays contributed by Pratt Faculty are on the course LMS site. The essays are by Professors Ivan Zatz, Lisabeth During, May Joseph, Jon Beller, Suzanne Verderber, Michael Eng, Chris Vitale, Miriam Greenberg, etc. You may chose other works by faculty in the department as well, but the faculty member must be in the School of Liberal Arts. It should be the obligation of all senior faculty to teach at least one 1st or 2nd year class and these lectures fulfilled that obligation. But for many years my interest in Cultural Studies has been eclipsed by other specific work. The writing of these lectures allows me to turn my attention to these other studies and courses while leaving behind this artifact from the accumulated debris.